It’s going to be hard to come up with much to say about this given how recently I spent a few hundred words gushing about how well done The Walking Dead was, but I’ll do my best. The best evidence of how effective the story here was the fact that I’m still thinking about it. Daring stuff compared to the cliched nonsense that passes for in-game plots most of the time. I’ve spent hours poring over flowcharts about what might have been, had I been nicer to this person or saved that one instead. It feels cheap to boil it down to the numbers like that, but it’s an outlet when the wait for the follow-up series. We are getting a second season, right? In all seriousness, I would refer you to the recent post for my thoughts on the game, because they’re so recent that my opinion hasn’t changed. 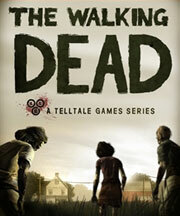 The Walking Dead represents Telltale finally fulfilling the promise that it had only threatened to before, despite the quality of the licences it had to work with. I wouldn’t go as far as some in praising it as it has some annoying niggles and occasionally not that much game, but it’s going to live on forever more as evidence that a game’s story can make you cry.